He&apos;s baaaaack! 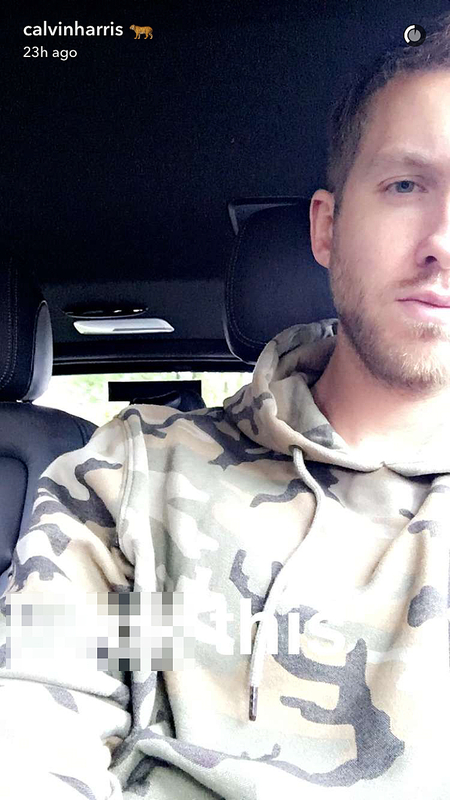 Calvin Harris returned to Snapchat over the weekend following his scary car crash on May 20. 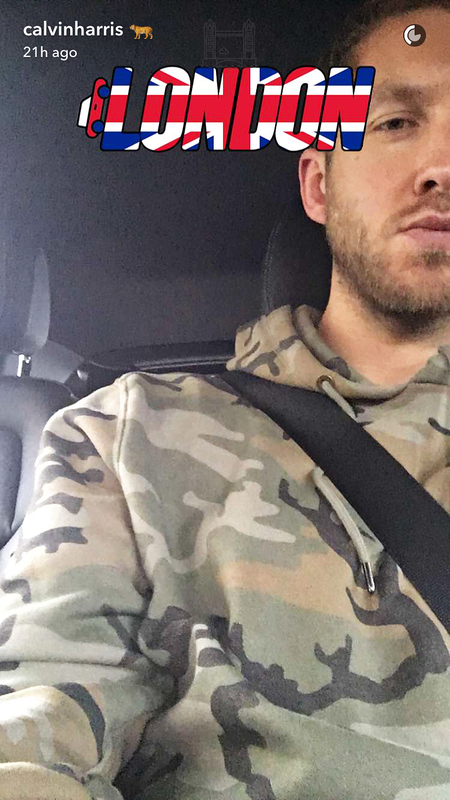 The Scottish DJ took several photos of himself while sitting in a vehicle. The pics are the first time that Harris, 32, has shown his face since the accident. In them, he wears a gray T-shirt and an Army green sweatshirt. 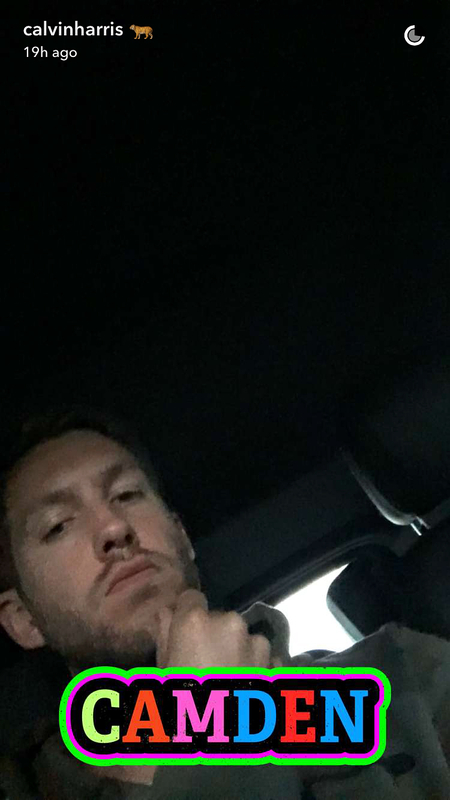 As previously reported, Harris was involved in a car accident in L.A. on May 20. He was sitting in the passenger seat of a Cadillac SUV when a Volkswagen Beetle convertible crossed the center line. He reportedly suffered a laceration on his face and was briefly hospitalized. 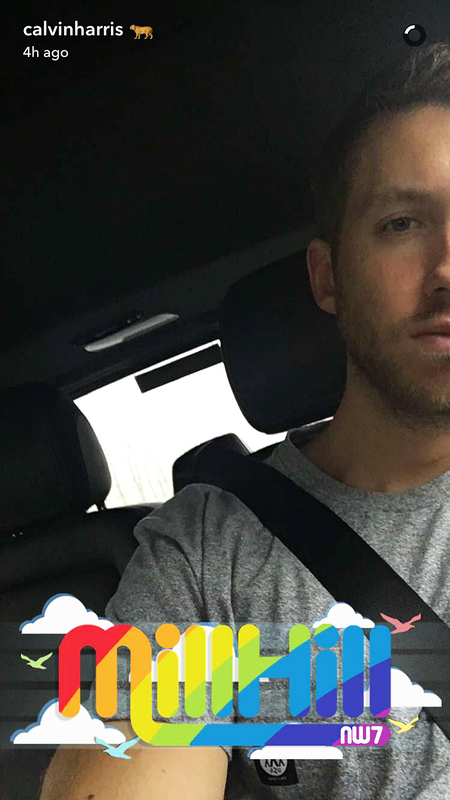 After the incident, Harris canceled four shows to recover and was taken care of by his girlfriend of more than a year, Taylor Swift. "He only had the cut on his face. But he wanted to be sure he was all right before he went to work again," a Harris source told Us Weekly. A Swift insider noted: "She&apos;s nursing him back to health. All Taylor wants is to be there for him."